Everyone is asking us to “go green” in today’s world and for the most part it’s a good thing. We are being asked to accept the delivery of everything from documents to notices and newsletter to bank statements. Great! We’re doing our part to help the environment (and make our lives easier, IMO) and save those business a lot of bucks in paper/printing costs. I did it recently for a new financial establishment and what I received from them a few weeks later took the top prize in the art of saying “Thank You” in this day and age! In regards to bank statements and the like, the wife and I have gone “Green” for 80-90% of our personal documents. We recently setup a new account with Loring Ward and requested to go green and get everything delivered electronically. 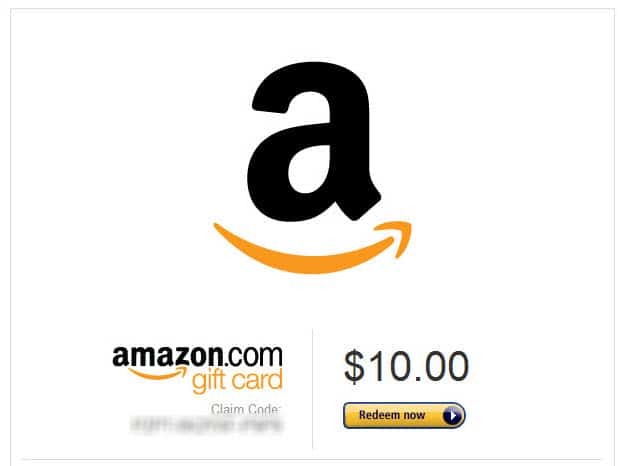 To my big surprise, within a few weeks I received a $10 Amazon Gift card “Thanking” us for going green. On behalf of Loring Ward and your advisor, Bradley Lineberger, we would like to thank you for “going green” by signing up for e-Delivery. We applaud your effort to be environmentally-focused and are confident you will appreciate the convenience and simplicity of going “paperless.” Please enjoy this $10 gift card from Amazon.com with our compliments. When Loring Ward really meant Thank You for going green. I can tell you that in the last 3-4-5 years and no less than 30-40 different “e-statements” across 10-15 different establishments that I have never received anything beyond the “Thank You” plastered on the confirmation screen after accepting to go digital. It’s not like they bought me a new iPad and I’m sure that over the 5-10-15+ or more years that I’ll be with Loring Ward that I’ll save them way more than $10. Have you ever seen something like this before? It’s definitely something to consider the next time you and your business saves a lot of money by the result of your customers’ actions. Blake Miller is the Founder, Owner and Creative Director of MITO Studios with over 22 years of Design, Marketing, Communications and Business Operations & Management experience. MITO Studios has helped countless Individuals, Entrepreneurs, Small Businesses and Organizations operate more efficiently while improving their marketing, communications making it easier to attract and retain customers. Happy Halloween from the MillerFam!